This doggie water fountain surely garnered one or two awws from the readers of my blog and what a great invention it is. 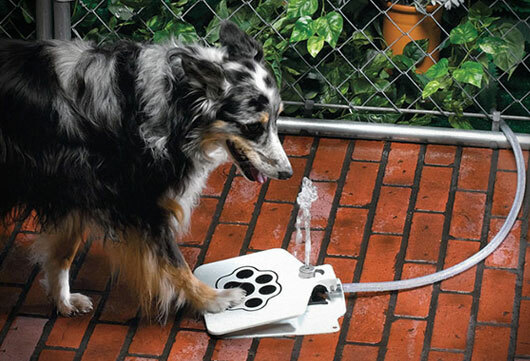 The doggie fountain is easily attached to any hose or faucet and your pet gets a fun new outdoor water source. The water fountain removes the need for a grimy water bowl that needs to be refilled and also gives your pet fresh water whenever it needs it. Fresh water whenever you dog wants it. Made of heavy-gauge steel for durability and trouble-free operation.